Come and check out my new North Shore Stamper Facebook Page! Like it and have yourself added into a drawing for 6x6 Designer Series Paper Stack of the 2010/2011 In Colours! Skipped Scrappin Saturday, so it's Scrappin Sunday! One of the best parts of Stampin' Up's Convention is the friends that you make. Angie and I met at Convention 2 years ago and instantly connected... she is like a sis:) The photos at the bottom are of people from Vancouver that I have known for the past few years through Stampin' Up. They are my up-up-upline, sideline and downline. This year's convention gave me the opportunity to finally get to know them! I went home with abs after spending 5 days LMAO!!!! They are the most AMAZING group of women! Talent galore and personality plus! Come and check out my new North Shore Stamper Facebook Page! Like it and have yourself added into a drawing for 6x6 Designer Series Paper Stack of the 2010/2011 In Colours! First draw on July 31st! New My Digital Studio Downloads Available! Are You New to Stamping? Do You Need a Kick In the Pants? I don't know about you, but I find that it is very easy to get behind with my scrapbooking. For a few fabulous ladies, scrapbook club has been our solution! We are getting one two page spread, or two individual pages done every month. We have a blast doing it and working with a ton of new and exciting products! For example, this month the ladies made these two pages... we made pinwheels, played with the new pocket die (great for hiding journalling), tested out the new mini clothespins and used the gorgeous Pennant punch and coordinating stamp set! Now, I struggle with scrapbooking layouts, so I definitely use sketches to help me, but I came across and gorgeous page done by Erica Cerwin and decided not to mess with perfection! (that was the page on the left). I have yet to figure out how to properly photograph scrapbook pages... I always manage to make them look not square and I have to crop off a bit of the page... hence the odd looking stamping around the first page! Our scrapbook club is open to new members joining. It is a 6 month commitment of ordering $35 in product per month. In addition, in your hostess month, you'll receive 20% off of EVERYTHING you order as part of your hostess order in addition to $35 in hostess dollars to spend in the catty. So, as you can see it is a great way to get a great deal and get caught up on your scrapbooking at the same time! Don't worry if you live out of town... if you live in Canada, I am more than happy to prep and package up your monthly pages so that you can make them at home! Get your own scrapbook club of 6 or more together in whatever Canadian city you live in, and I will provide your group with a monthly video to follow along on your projects! I have a special gift for the first 6 people to join my scrapbook clubs between now and August 31st! I know how useful these Timeless Type Letters are to scrapbookers... having an alphabet at your fingertips to create your own titles is invaluable as stickers often don't seem to have enough of the exact letter that you need. To help you out a little this month, anyone purchasing the Timeless Type Junior Alphabet from me between today and July 31st at 10:50pm will receive a gift certificate to be used in August for 34% of the value of the set! (That is a GC for $31.26). These dies come in a fabulous storage box too! This offer will apply to orders placed online through me or via phone or email. Everything is more fun when you are surrounded by great friends! Stamping is no exception--it's an art, a creative outlet, and a fun way to bring people together. Now, it's easier than ever to participate in Stmapin' Up's +One Campaign and get friends stamping with you because both you and I will each get a free Christmas Keepsake Box project kit--a $50 value--to work on together (if you choose, or you are welcome to do it in the comfort of your own home in your Pj's if you'd like:) This project kit isn't offered anywhere else, so be sure to take advantage of this special offer. With the $119 Starter Kit, it's a great time to take advantage and get hold of a Kit--valued at more than $200--which is full of product favourites, including items from the brand-new Idea Book & Catalogue. In addition, you will be eligible for TWO FREE months of Demonstrator Business Web Services (DBWS)--including your own business website and Online Store, access to a blog, calendar, a monthly e-newsletter, project gallery, and e-cards--if you sign up within 21 days of becoming a demonstrator. In addition, you are also able to choose $35 worth of product from my retired list! Amazing Gift from an Even More AMAZING friend! I was lucky enough to have one of my downline, Shanda Stirk, as my roomie at Convention this year:) We had more fun that I ever imagined possible! We saw a stunning cake like this in display while at Convention, and the day after we arrived home, Shanda showed up with one she had made for me! I can't even imagine the time she put into this! She is truly an AMAZING friend and a very talented crafter! Like it and have yourself added into a drawing for 6x6 Designer Series Paper Stack of the 2010/2011 In Colours! First draw on July 31st! 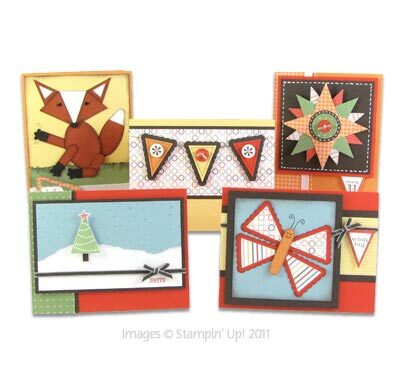 Don't miss out on this fantastic August Card Class! This stamp set and punch are to die for... here's a fun way to get them for less! Option #1: $50 includes the new Pennant Parade Stamp Set as well as the coordinating Pennant Punch. This is an AMAZING deal as it is cheaper than the cost of purchasing the stamp set and punch on their own... so the class is free!!!! This class will be limited to 8 people so please RSVP early to avoid disappointment. September 15th from 7:30-9:30. The cost is $40 will include this adorable new stamp set and a package of the Designer Buttons in a colour family of your choice! The class will be limited to 8 so register early to avoid disappointment! Now if you don't want to wait for your stamp set until September 15th, prepay for the class and I'll order it now for you so you can play to your hearts content until then! If you don't live near me but would still like to make these, all you have to do is contact me and I can get you set up with a take home kit! It's A Wrap... It's A Hit! This new stamp set is AWESOME! These adorable little chocolates are simply Hershey's Miniatures. The stamp set is ideal for Hershey's Nuggets actually, but much to my dismay, I found out that these aren't available anywhere in North Vancouver. (Just ask me how many hours it took me to figure that out!) The stamp set fits perfectly on address labels that just wrap around the chocolates and stick on their own. How about that for easy???? There are so many different occasions... showers, new baby, wedding, get well, thank you, happy birthday, and a school themed. Can I also give you a little Holiday Mini leak... there may be another coming with some major holidays in it!!!! Order it now and receive have of it's value to spend on my retired list! Last night was our first In Colour Club meeting!I thought I'd share with you the projects and let you know how you can still be a part of this. I know that our first night has passed, but I am more than happy to make you a take home kit for the first month! On another note... check out that extended candy wrapper die! I learned how to do this at Convention and I'd love to share it with you if you're interested? Come and join my 2011-2013 In Colour Club, and get yourself all set up with the new Stampin’ Up In Colours! This two month club will get you all the new 2011-2013 In Colours and SAVE you a bunch of money! Please note that there is now a link up top for my DSP and Ribbon Shares! Thanks so much for an AMAZING Open House lastnight ladies! I had a blast! Here's my card for this week's Stampin' Royalty Sketch Challenge this week! Make sure to come and join us... it is a gorgeous sketch! This is also part of my Merry & Type class coming up on September 28th from 7:30-9:30pm. The cost is $45 and it includes the clear mount Merry and Type stamp set as well as the new Letters to Santa DSP! This class will be limited to 8 attendees so make sure to RSVP early to avoid disappointment. I will also have this class available for a take home class for those of you who don't live near enough to attend or are unavailable that evening! There will be an extra shipping charge added based on where you live, so please contact me if you are interested! Thank goodness for Julie B... I was desperate for a make-n-take card for today to show off some of the new products at my Open House this evening. I found this one when blog surfing the night I got home. I had a bit of a block when I first sat down, but after caseing this card, the juices started flowing again:) I've got a whole bunch of new and exciting things to show you this week! It was very difficult to pull everything together having only arrived home from Convention 48 hours prior. However, it has all come together and I'm really looking forward to tonight. 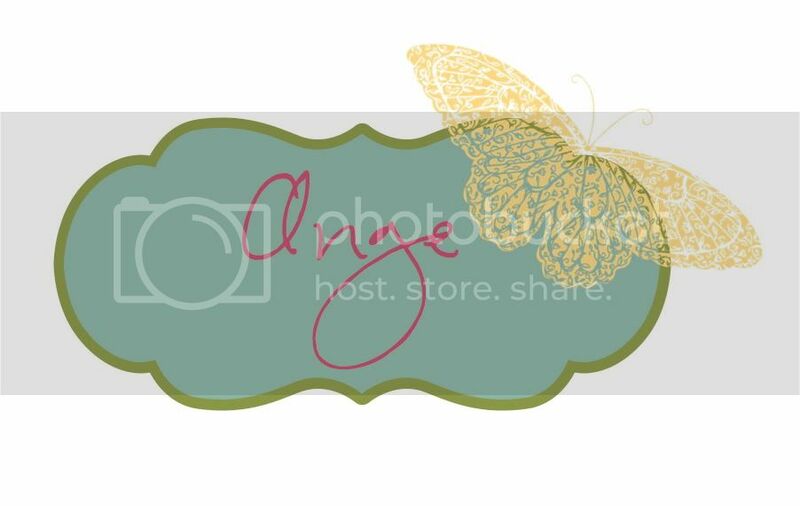 New My Digital Studio Downloads Released Today! Well, I'm off to Stampin' Up's annual convention today! The only thing that could possibly make me not want to go (other than leaving my hubby and little angels for 6 days), is the fact that my boxes of stuff from the new catty arrived yesterday as I arrived home from vacation. No play time at all! Everything is GORGEOUS and I can't wait for my Open House on the 19th! My annual Open House/ Garage Sale is on Tuesday July 19th from 7-9pm (Doors will open right at 7pm:)! I will have a fabulous BOGO event on my Garage Sale merchandise so you don't want to miss out! 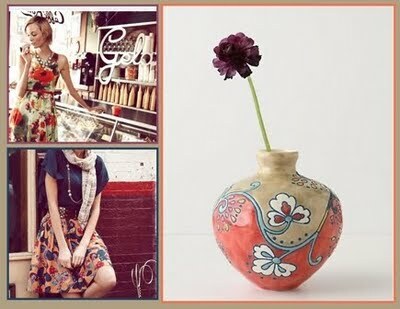 All purchases of $25+ made from the new catalogue will get you your new 2011/2012 catalogue for free! Please make sure to RSVP no later than Sunday July 17th so that I can have a make-n-take ready for you. There are lots of door prizes to be won, specials to be had, as well as some fabulous samples from Stampin' Up's Convention as I will have just returned! Make sure to bring your camera to photograph the new swaps! You are welcome to invite along new friends, and I will have a special little gift for you and your friend! I wanted a little something for my girls who are attending so I made up this little notepad holders on My Digital Studio and then inserted them into the covers of my clear stamp cases. Hopefully they won't seem them this morning as they'll be as busy as I am running around last minute packing:) Have a great day and watch for updates while I'm away! New Catalogue DSP / Ribbon Shares Announced!